There's crime -- IN HIS BRAIN! Director Christopher Nolan of "Dark Knight" fame is keeping such a tight lid on his new film starring Leonardo DiCaprio, that co-star Michael Caine isn't exactly sure what the movie's about. "They wouldn't let me read the script. I only got my page. They're all very secretive!" the actor told Empire Online. Watching the trailer doesn’t really offer many clues as to what happens in the film, either, though it's chock full of Matrix-y action, sweeping aerial shots and the tag line "Your mind is the scene of the crime." A visit to the film's website is even less helpful. "I play a professor who's teaching a guy science," offered Caine. "It's Leonardo DiCaprio. He's going off to do a science project and he speaks to me before he goes." 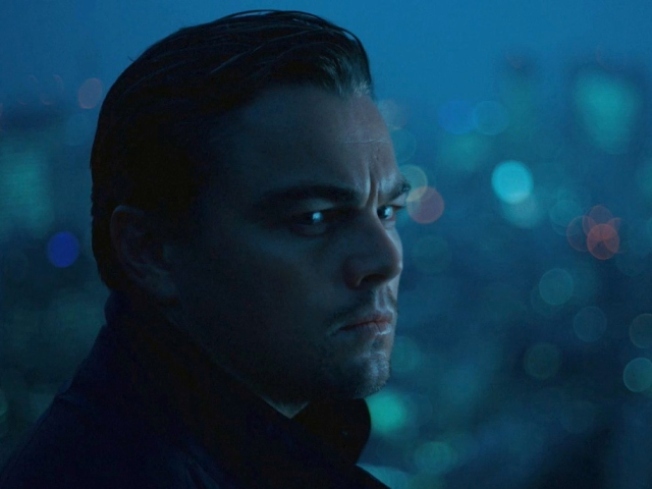 In addition to DiCaprio and Caine, the movie stars fellow "Dark Knight" alumnae Ken Watanabe and Cillian Murphy, as well as Joseph Gordon-Levitt, Marion Cotillard and Ellen Page. Earlier this month it was announced that the film would be released in IMAX.